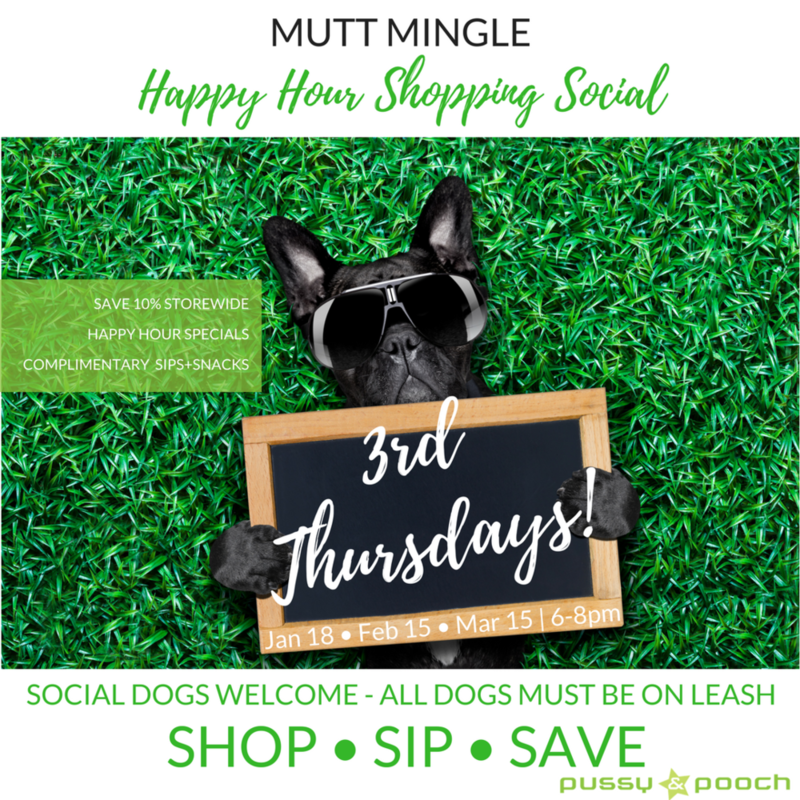 Mark your calendars for the THIRD THURSDAY of the month... it's Mutt Mingle time from 6-8pm! Join us for our monthly mixer and enjoy special treats, toasts, and plenty of in-store tail-wagging. Now, plan your shopping and stock up, SAVE 10% storewide during the Mingle and look for additional Happy Hour Specials on select dog treats and food.